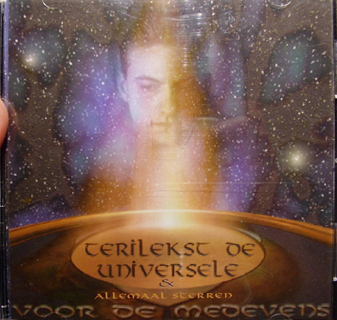 Recorded @ De Ruimte van Kees (Waalre) 1998-1999 by SpaceKees. ’16. Ruimte Vol Sterren’ produced by Terilekst. Also contains productions by Tenshun (Terilekst verse), Spacekees (Spacekees verse), Ketama (Ketama & Moris backtoback verses), Papa J (MW32 and No Span verses), Tenshun or Papa J (Puur Natuurlijk off the dome freestyle outro). All beats came straight out of Scream & Impulse Tracker (MS-Dos software Terilekst used to make beats with ’til 1999.